DDD60 – a pan-European research project designed to develop and introduce cutting edge video compression and delivery technology to provide high-quality virtual reality content – today announces its final results. Berlin, June 3, 2018 — Launched in January 2017, DDD60 aims to increase the quality in which 360° VR is seen and experienced in order to more closely match the quality in which the films are being produced. launch of a new 360° server-based VR library for the film industry. The H.265 encoder previously developed by Spin Digital has been extended with new algorithmic optimizations and tools for better encoding of 360° video, which allows for compression at very high quality and at a low bandwidth and file size. Bitrate reductions (at the same quality) up to 37.4% have been obtained compared with popular open-source encoders. The resulting videos are compatible with most popular 360° media players for PC and mobile platforms. The newly launched guidelines aim to help 360° VR film content producers to prepare master files with the highest possible quality for submission to film festivals, markets, VoD platforms and distributors. Master files produced according to these guidelines will enable service providers to generate compressed versions for high quality screenings to target viewers. Overall, the guidelines allow content creators and services providers – venues and film festivals with VR screenings – to ensure that 360° media files are played at the highest quality possible and, at the same time, that the files remain compatible with the more common VR/360° video players for PC and mobile platforms. 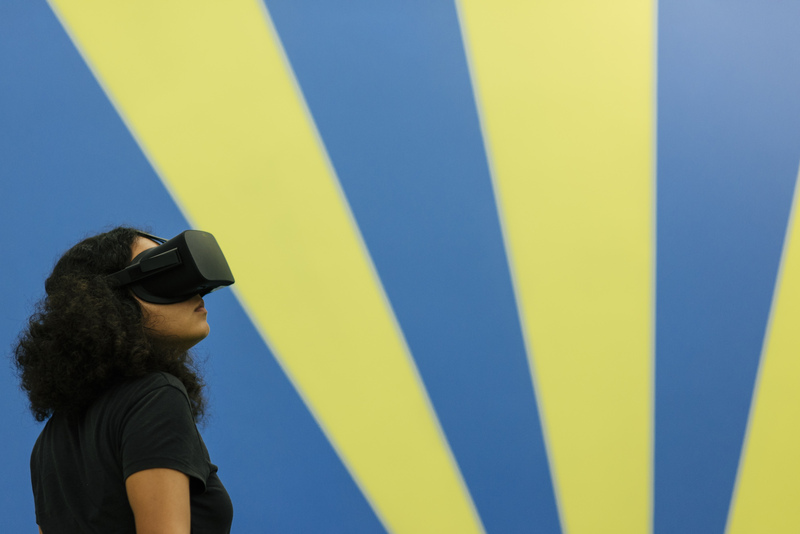 The VR library introduces established workflows of the media industry for the screening of films to potential buyers, press and the public for VR projects. All VR projects are stored on a single server, providing practically unlimited space for content. From the server, VR projects can be distributed to dozens of devices at the same time, providing detailed statistics on usage and performance. The library is device-agnostic, with playout possible to devices such as the HTC Vive and the Windows Mixed reality headsets. Behind the technology project is Reelport (Germany), who deliver one of the largest VoD services in the film industry, and Spin Digital (Germany), specialists in video coding for high quality media. Testing and showcasing the software through VR exhibition and VoD markets are the project’s Film & TV industry partners – Marche du Film – Festival de Cannes (France), among the largest film markets in the world, Tampere Film Festival (Finland), Sunny Side of the Doc (France), and Sheffield Doc/Fest (UK). Across the 18-month project, 360° film projects have been presented using the new codec at VR Libraries powered by DDD60 as part of Tampere Short Film Festival in Finland – which attracted 800 industry delegates in March 2018, and as part of NEXT, the VR program and venue at Marché du Film in Cannes – Next attracted more than 2,000 industry delegates over 6 days in May 2018. Further members of the film, television and tech industries will be reached as part of the forthcoming Sheffield Doc/Fest’s Alternate Realities Exhibition and Doc/Player VoD market (7-12 June), and at Sunny Side of the Doc’s VoD market (25-28 June). Beyond this, the results of the project have been shared through several panel sessions and presentations at Tampere Film Festival and Marche du Film, as well as tech conferences and trade fairs such as NAB and IBC, and film industry sessions globally. Tilman Scheel, CEO of Reelport will further present as part of a “Distribution of VR” session as part of Sales & Distribution Summit at Sheffield Doc/Fest (10 June). The H.265 encoder developed by Spin Digital and enhanced for 360° video is going to be released as a product in July 2018. Several content creators and film festivals are using it already as a part of a beta testing program. Reelport will provide the results of DDD60, such as the VR online and onsite libraries to the industry and make it available to film festivals also from July 2018. The DDD60 project received funding from the European Union’s Horizon 2020 research and innovation programme under grant agreement No 732717. Reelport GmbH has been working with film professionals online for 15 years. Its mission is to provide innovative and smart solutions that make managing film files and film data more effective and to contribute to the exposure of films worldwide. PicturePipe is a full range of VoD services for the film and TV industry. PicturePipe can upgrade any existing website to implement video-on- demand services, from uploading to streaming, including user registration, submission forms, quality control, viewing statistics, permission management, payment systems, advanced security features, etc. Spin Digital develops high-performance video codecs for the next generation of ultra-high-quality video applications. By using Spin Digital products professionals can create a new generation of media applications that demand very high quality in different industry segments including 8K UHD-TV, very large screen display, and next-generation virtual reality. Spin Digital is based in Berlin, and operates in an international B2B environment, working with customers and partners in several countries and market areas. Every year in May, Cannes becomes the largest trade hub for the film industry during the Festival de Cannes. The Marché du Film is a vital meeting point for 12 400+ industry professionals – including 3 900 producers, 3 300 buyers and distributors and 1 000 festival programmers -, a place to meet peers from around the world and boost film business opportunities. Many networking and business opportunities are made available to the participants during the Marché notably through its Industry Programs. Amongst these programs, NEXT is the innovators’ hub at the Marché du Film. At NEXT 2018, Virtual Reality Experiences (VRE) has spread over 1500m² of exhibition space to present the best Cinema VRE on several booths, 25+ market screenings of VR programs (45 minutes with 3-6 VR films per program) curated by specialists from around the world and 3 different setups of VR Libraries, including one powered by DDD60. More than 150 VR experiences were available to experience at NEXT in different scenography with various technologies. There were also a series of conferences about all aspects of the VR industry. Sunny Side of the Doc is the international marketplace dedicated to documentary & specialist factual content, that brings together each year broadcasters, decision makers, distributors, filmmakers and producers from around the world to sell or buy projects and programmes, and to find co-production partners. The 4-day event creates unique opportunities for all +2,000 professionals from 60 countries, to follow the latest industry trends, make new connections and embrace new forms of storytelling through a variety of high-level pitching sessions, panel discussions and the added value of an exhibition space. The 29th edition will be held in La Rochelle from June 25-28, 2018. The Tampere Film Festival is a short film festival held every March in the Finnish city of Tampere. It is accredited by the film producers’ society FIAPF, and together with the short film festivals in Oberhausen and Clermont-Ferrand, it is among the most important European short film festivals. The first festival was held in 1969, and since 1970 it has been held in its current form, which makes it the oldest short film festival in Northern Europe. Approximately 500 short films are screened during the five days of the festival each year, and there are lots of seminars and other activities surrounding the festival. The festival gathers an audience of 30 000 each year. It is an important meeting place for film professionals and enthusiasts, as well as a traditional local event. All Year screenings and training for outside the festival period. Sheffield Doc/Fest returns 7-12 June 2018. This activity has received funding from the European Union’s Horizon 2020 research and innovation programme under grant agreement No 732717.